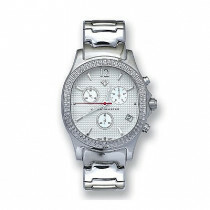 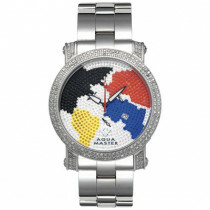 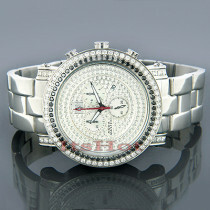 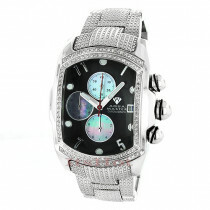 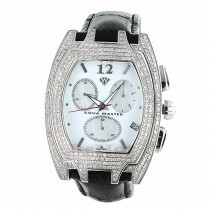 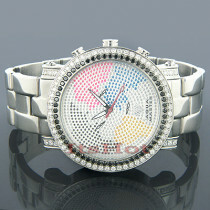 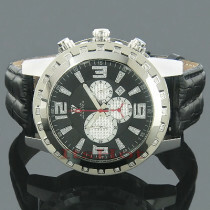 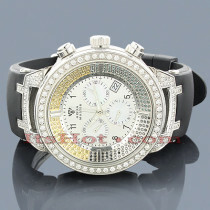 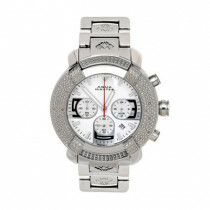 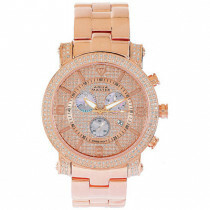 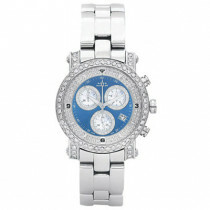 Diamond Aqua Master Watches! 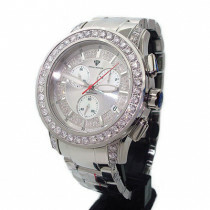 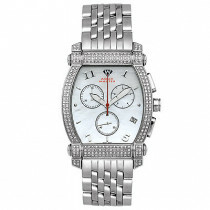 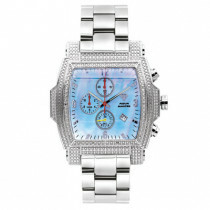 This Stainless Steel Mens Diamond Watch by Aqua Master features 20 round diamonds, a white face with 3 mother of pearl chronograph subdials, a polished stainless steel case and a matching leather band. 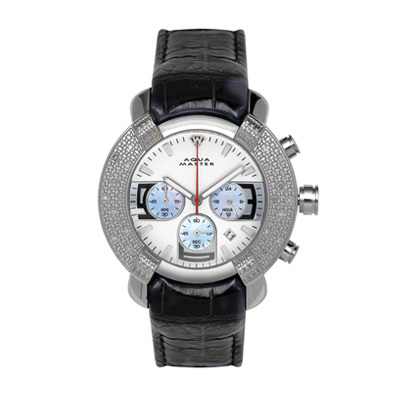 This versatile men's diamond Aqua Master watch showcases a professional chronograph movement and is water-resistant to 150 FT.